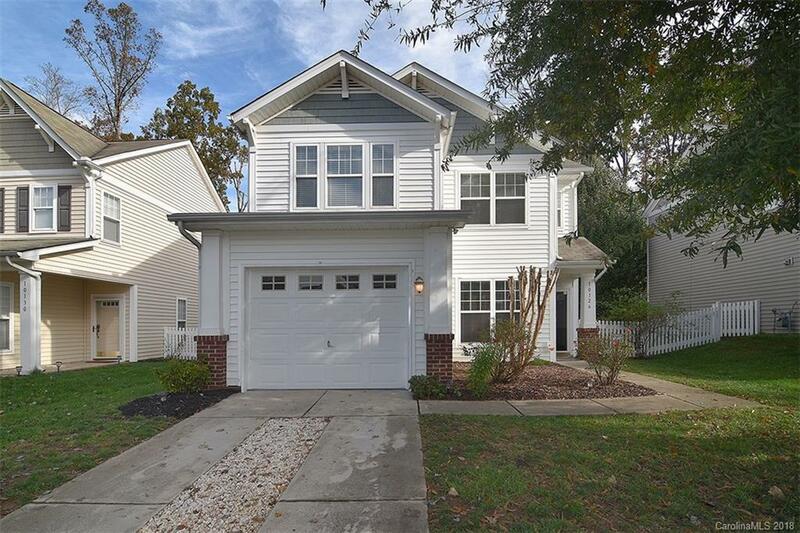 Well maintained, two story home in popular Riverbend neighborhood. Covered front stoop with foyer entry. Freshly painted throughout. Formal dining room is large enough to host most any gathering. Kitchen is accessible through the dining room, living room and breakfast area and features tile backsplash and pantry. Living room accented with gas fireplace and tons of natural light. Let the coziness of this room wrap you in warmth. Breakfast area is open to the kitchen and living room and is highlighted by the sliding glass door looking out to the back yard. Upstairs hosts three bedrooms, two full baths and laundry closet. Master bedroom overlooks the private, tree lined back yard. En suite has dual vanity with tons of storage, soaking tub and separate shower with glass surround. Back yard features large patio with pergola. This back yard is a canvas awaiting your personal touch! Backing up to trees, enjoy the fire pit & privacy! Riverbend features Swimming Club, Playground & Sidewalks!